Kelsey is originally from Little Canada, MN and moved to Fort Collins, CO to begin her career as a PT. Kelsey received her Doctorate of Physical Therapy from the University of Wisconsin – Madison in 2015. Prior to that she attended the University of Wisconsin – Eau Claire where she earned her undergraduate degree in Kinesiology – Human Performance. During her time at UWEC she was also a player on the NCAA DIII women’s soccer team for 4 years. 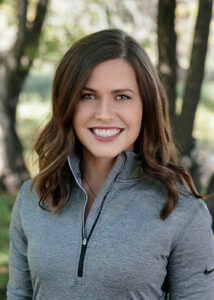 Before joining Rocky Mountain Physical Therapy, Kelsey specialized in IP rehab where she excelled in rehab status post orthopedic surgery, stroke, TBI, falls, dizziness, complex neurologic conditions, and multi-trauma. It’s important to Kelsey to individualize her treatments with each patient to create the best possible functional outcomes and improve that patient’s quality of life. 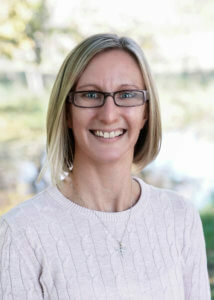 Outside of work, Kelsey enjoys spending time with her husband and two dogs – especially if it involves being outdoors! She also enjoys playing soccer in recreational leagues, hiking, fitness classes, cheering for the Minnesota Vikings and Wisconsin Badgers, and being with her family and friends. Tim is a proud native of Colorado. He earned his undergraduate degree from the University of Northern Colorado in 2004 in Sport and Exercise Science. He went on from there to attend the University of Colorado Denver where he earned his Doctor of Physical Therapy degree in 2008. He has a strong passion for physical therapy, particularly manual interventions and appropriate exercise. He especially loves working with athletes and active people who have injured themselves doing what they love, however, at the same time enjoys working with all types of injuries and post-operative conditions. He is trigger point dry needling certified and is currently working on his strength and conditioning specialist certification as well as a manual certification from NAIOMT. Outside of work he enjoys spending time with his daughter, being outdoors, fly fishing, hiking, and snow shoeing. Jamie is originally from northern Wisconsin and moved to the Fort Collins area in 2012. She earned a Bachelor of Science degree in Exercise and Sport Science from the University of Wisconsin-LaCrosse in 2004 and then moved to Gainesville, Florida to attend massage therapy school. She graduated from the Florida School of Massage in 2005 with advanced training in Sports Massage and for the next 12 years she worked as a clinical massage therapist in a variety of medical offices focusing on chronic pain management and injury recovery. She had a desire to do more for her patients to help them reach their full functional potential and returned to school in 2016. Jamie joined the Rocky Mountain Physical Therapy team in 2017 after completing the Physical Therapist Assistant program at Laramie County Community College in Cheyenne, Wyoming. In her free time, she enjoys camping, hiking, playing disc golf and competitive volleyball, attending concerts, cheering for the Green Bay Packers and spending time with her boyfriend and their three dogs.